Smartphone screens have become increasingly larger, for a good reason. You can now do a lot more things with the smartphone: surf the web, interact with your social network, play games, watch high-definition videos, listen to music. Sony’s latest Android smartphone, the Xperia Z, can do all these and more: it is also water and dust resistant. Sony has promoted the Xperia Z as “the best of Sony in a smartphone”, and in general I believe it is so. The Xperia Z is certainly one of the better smartphones that offers a good list of features that benefits the end-users. The Quadrant benchmark hits an impressively high 7451 points. All the connector ports are well-concealed with caps that are blended into the design, you wouldn’t even notice it. The covers are a necessity to provide the Xperia Z its much-needed water-proofing. This might prove to be inconvenient if you use the ports regularly, like plugging in your headphones or charging the phone. Connectivity – With MHL, USB-OTG, micro SD card slot, and various other Sony-branded wireless sharing features, the Xperia Z has no problems sharing content by means of file transfer or display mirroring. Plug the phone via USB to your PC and you can access the internal memory for ease of data transfer. Walkman-inside – Xperia Z is now more music-friendly. Its Walkman app offers some audio enhancement features which I feel works well and does not give a distorted audio experience like many other players. I can also control my player from the lockscreen and dropdown notification screen. The Xperia Z comes bundled with the earphones MH-EX300AP which delivers rather decent audio quality: flat response with slight treble bias, moderate mid-range, faithful bass. It is lightweight and does not exhibit cable rub noise when moving. Mini Apps – Sony is not the first to support apps that run as a floating window, but Sony allows you to download these Mini Apps from the Google Play store and expand the app list. With Mini Apps, I can run apps like Calculator, Voice Recorder, Unit Converter, Notes, and even Camera, as a floating window. But only one Mini App can be run at one time. Preinstalled Sony Apps – In general, the preinstalled apps in the Xperia Z is are functional and good-looking, and somewhat reminds me of Microsoft Windows 8 look. The Album app allows you to change the thumbnail size just by swiping left or right, and has a globe view of your images tagged with location data. The Sony Car app provides large icons for you to press when behind the wheels. The Socialife app brings all your social feeds into a single app. The TrackID helps you find the songs that are played over the air. Looking at the images, there is no doubt that with the higher pixels per inch (ppi), you will enjoy smoother images, sharper text. The fact is that it really doesn’t make a lot of difference to casual users. While Sony Xperia Z’s full HD resolution offers remarkably smoother image quality, it suffers from contrast distortion when changing viewing angles. Also, its Mobile Bravia Engine 2 is not recommended if you do not like over-saturated images. Another annoying fact is that the glass screen is a dust and fingerprint magnet, plus with its gloss surface, perhaps you might want to invest in a screen protector. Sony Xperia Z is an engineering feat. You will never imagine it to be water resistant of up to 1 metre, and yet still look so gorgeous. You could never tell its display is a full HD 1920×1080 resolution, with every image appearing sharp and natural. Its skinned UI is sleek and beautifully animated and designed. There are plenty of Sony-proprietary features to improve user experience, like integration with PlayStation, content mirroring, downloadable Small Apps that runs as floating windows. 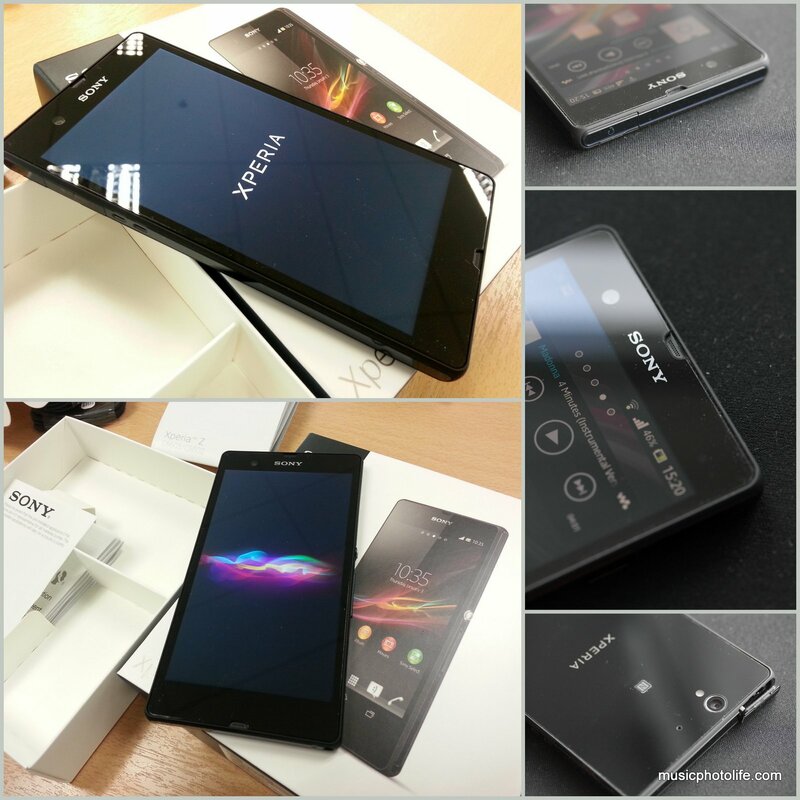 Indeed, the Xperia Z has the Sony DNA imprinted in every inch of the device, and I think that is a very good thing. There are areas that make me like the Xperia Z less, but on the whole it is a beautiful smartphone to use. Based on market sentiments, Sony has delivered a desirable Android smartphone that will find its way into the hands – and the hearts – of the masses. This review is also published on XINMSN and StarHub Community.